The piano is a springboard for the study of all other instruments. On the piano, students learn to read notes simultaneously in two different clefs (treble and bass) while developing their sense of polyphony (hearing more than one sound at the same time). The piano is physically easy to play, making it possible for a student to make a good musical sound or combination of notes on the piano faster than on any other instrument. This reinforces the desire to learn. The keyboard configuration also facilitates the combination of aural and visual learning, helping the student to see, while they simultaneously hear, the relationships of notes, intervals and chords. Lastly, the simultaneous use of both hands on the keyboard helps develop left brain-right brain communication. 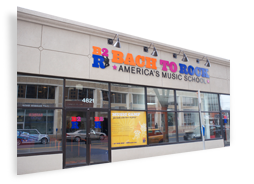 At B2R we emphasize the fundamentals of good piano-playing while offering students a musical diet that includes many different styles such as classical, blues, and pop. This approach keeps students motivated and earns them recognition from their peers. Students will learn important skills such as sight-reading, theory, chord harmonization, transposition, and improvisation. Advances in the field of ergonomics, biotechnology and physical medicine have benefited many contemporary professional and physical activities. Musical performance should be no exception. The “no pain, no gain” philosophy is no longer valid in instrumental instruction. Therefore, B2R’s piano faculty members have been trained to incorporate contemporary ergonomic concepts into their teaching so that students can come away with an easy technique that facilitates healthy physiological development while playing in any style. It is a bit surprising to think of ensembles made up entirely of pianos, but today’s digital keyboard technology makes this both possible and a great deal of fun. It also provides the opportunity for an intense and special learning experience, in which students can use the many voices built into today’s electronic keyboards, transforming them to sound like almost any instrument in the band or orchestra (and even some that have never been heard before). See the description of our Keyboard Fusion classes elsewhere in this text for a further description of this very special educational opportunity. The history of the piano has been driven by technological change. So it is logical that today’s leading digital pianos, which use sampled sound from the world’s very finest concert grands, offer many advantages over traditional, moderately priced conventional instruments. 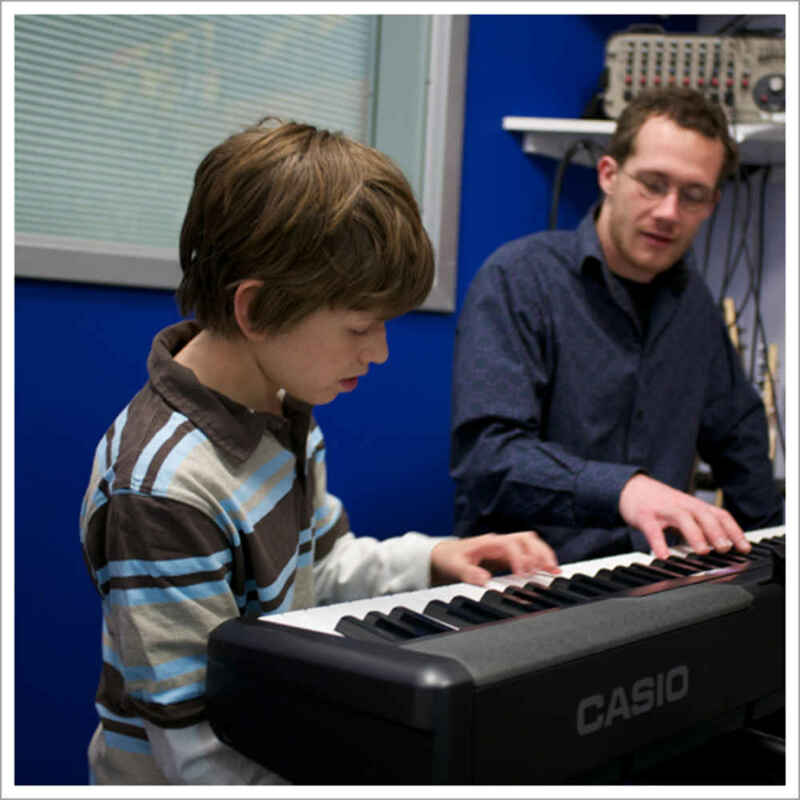 Digital pianos and keyboards automatically maintain proper tuning, so a student learns to hear notes and intervals accurately from the very beginning. This is critical to the development of a student’s musical “ear.” Keyboards also produce multiple voices (instrument sounds), exposing students to the myriad tonal possibilities that characterize our digital age while making digital instruments much more entertaining for young people than conventional pianos. 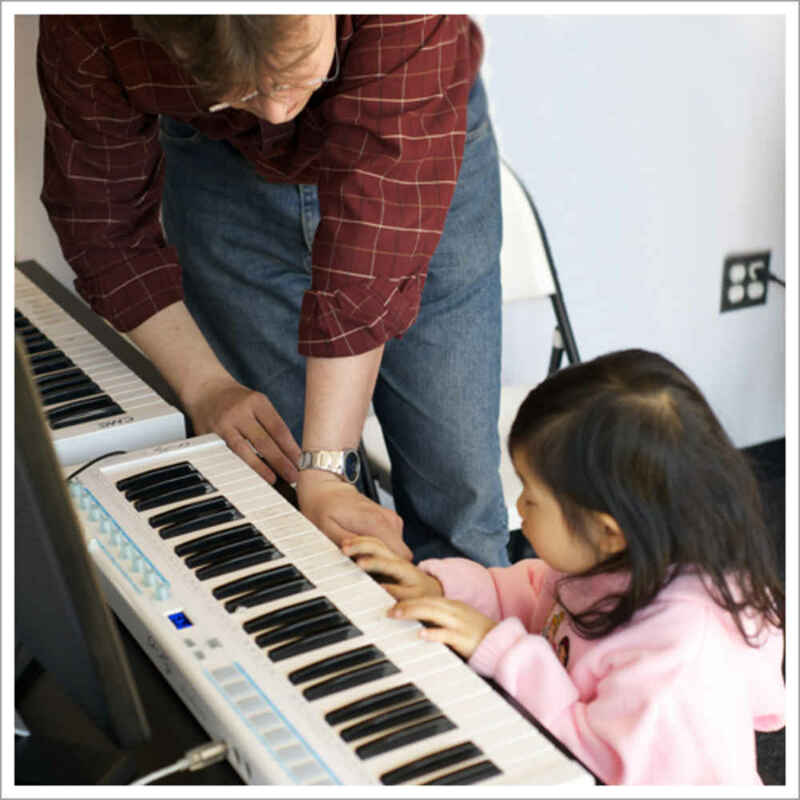 Small group (2 or 3-to-1) lessons in piano/keyboard, guitar, bass, voice, drums, woodwinds, brass and many more. Instruction is each week for 30 or 60 minutes. Recommended for children ages 7 and up. We also recommend registering two students for the same lesson type to ensure the lessons take place. Two students are required to schedule a semi-private lesson. We will make our best efforts to pair students that sign up individually but cannot guarantee the lessons will occur without a second student. A band builds teamwork, develops social skills, fosters self-esteem and leads to lasting friendships. Introducing very young children to music supports cognitive development and motor skills.